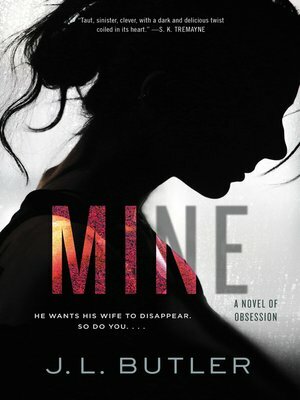 In this riveting tale of psychological suspense, a divorce lawyer risks her career, her sanity, and her life when she falls into an illicit, all-consuming affair with her client—who becomes the primary suspect in his estranged wife's sudden disappearance. Young divorce lawyer Francine Day has methodically built her career doing everything right. She's one big case away from securing her place among London's legal elite. But when she meets her new client, Martin Joy, the natural caution that has protected Francine and fueled her rise melts away. Powerless to fight the irresistible magnetism between them, client and counsel tumble into a blistering affair that breaks every rule. Though Martin insists his marriage is over, Francine doesn't believe him. Certain details he's told her don't quite add up. Consumed with a passion she cannot control and increasingly obsessed with Martin's relationship with his wife, Donna, Francine follows the woman one night . . . and discovers her having dinner with her supposedly soon-to-be-ex-husband. The next morning, Francine awakens in her neighbor's apartment with blood on her clothes and no recollection of what transpired after she spied Donna and Martin together. Then Francine receives more devastating news: Martin's wife has vanished. That dinner was the last place anyone has seen Donna Joy alive. Suddenly, Francine finds herself caught in a dangerous labyrinth of deception, lies, and secrets, in which one false move could lead to her undoing. What happened that night and why can't Francine remember? Where is Donna and who is responsible for her disappearance? The further Francine goes to find answers, the tighter the net seems to draw—around her lover, herself, and the life she's meticulously built. J. L. Butler is the pseudonym of a popular London-based British author who has a background in law and magazine journalism.